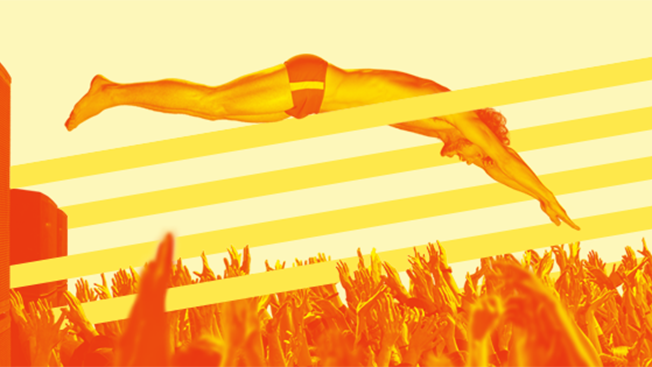 Thanks to the explosive growth of platforms like Snapchat, Instagram, Twitter and Facebook, the 2016 Rio Games are widely assumed to be the most social ever. And they're also easily the most mobile. "The world is watching," he said. "We believe we have a very, very important responsibility in making sure that the world watches, that it's engaged with the athletes and the whole organization." On the first day of the games, the top three countries talking about brand sponsors on Facebook were the U.S., Brazil and Mexico. Of the overall chatter, millennials made up nearly 75 percent of the conversation, with men comprising 57 percent of total chatter. The second screen is bigger this year than ever before, thanks to the ubiquity of smartphones. Angelini said the filters have been a hit since debuting the day of the opening ceremony. "We really want to move to this new video era with a strong foot," he said. "It's very expressive. … People are loving it and they're using it, so that for us is the biggest reward. I told my son that he's overusing it." Harnessing the affection of beloved Brazilian TV characters Tíbio & Perônio, GE wanted to showcase the company's technology while tapping into the generation that watched the hit 1990s children's show Castelo Ra-Tim-Bum. The series, according to Pedro Alves, advertising and digital communication manager for GE Latin America, was targeted at those who watched the program in the 1990s but who are now leading businesses around the world. "Tíbio & Perônio were famous for being able to answer the questions unanswered, which means they explain difficult topics in a playful manner," Alves said. "It was thinking about this feature we chose them to talk about science and innovation behind the Rio 2016 Olympic and Paralympic Games." The series was announced on Facebook Live last month with interviews with the GE scientists who helped build the infrastructure for the 2016 games. Since the debut, GE has been using Facebook and Instagram ads to build awareness and drive viewership. The first episode even included 360-degree video footage of GE's lab in Brazil. To help usher in the spirit of the games, Anheuser-Busch InBev's Brazilian beer brand focused on creating a global community on Facebook with a "Delegation Skol" campaign. 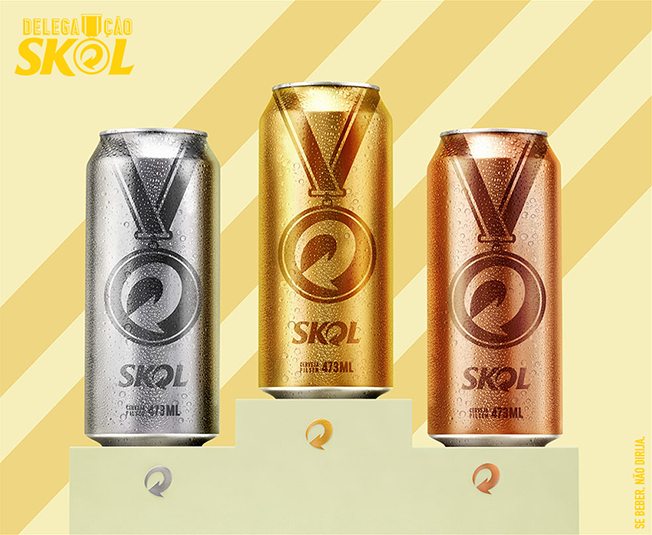 Skol, the official beer of the Rio games, worked to create a mobile-first experience and its own Olympic delegation. Through photos and videos targeted at mobile devices, the goal was to help Brazilians become "real athletes of fun." "What Skol really wanted to achieve is to help Brazilians remember the spirit behind these games," Angelini said. "They wanted to do it in a fun way that makes sense to being the official beer of the Olympics and the sports that were coming there." During the first phase of the campaign, Skol used a variety of video ads to offer prizes underneath Skol bottle caps such as a chance to win tickets to the Skol House during the Olympics. During that first phase, the brand reached more than 47 million people on Facebook and Instagram. Long before the Olympics were underway, the Rio games were expected to face their fair share of challenges. So Bradesco, the Brazilian bank, bought Facebook ads as a way of soliciting nominations of torchbearers for the country. Bradesco received 15,000 nominations and later posted videos of those chosen. Overall, more than 192 million people saw the campaign on Facebook. In a second phase, Bradesco turned to Facebook Canvas, Facebook Live and other video ads to tell the story of the torch relay, providing weekly updates of its movement across the host country. The stories were accompanied with the hashtag #Chamaquetransforma (#flamethatchanges).